Many people (including me initially) think that you can only add 50 variations to products in Woocommerce. This is not true. You can only do 50 at a time. Just keep clicking “Link all variations” and eventually it will add an amount under 50. To calculate how many variations you should have, just multiply all the amounts of variations together. So if you have Shapes x8 Colours x7 Packing Types x2 = 8x7x2=112, so you would have to click the “Link all variations” 3 times. First time = 50, 2nd time another 50, 3rd time = 12. Google released the latest version of its Penguin algorithm, shaking up the volatile world of SEO. A number of insiders have reported seeing significant changes, both negative and positive, in their search engine traffic since the update, but the full extent of the change remains unclear. So we’re here to guide you through what this update involves and what it could mean for your business. Why is there so much fuss around Penguin? Penguin updates strike fear into the hearts of SEO professionals, with the power to slash a website’s traffic in one foul stroke. The 1st version of Penguin was released in April 2012 and target sites that were using “spammy” techniques to play Google’s algorithm, thereby violating its quality guidelines. Penguin’s primary target was unnatural linking techniques, such as paying for links and over-optimising anchor text and penalising sites it detected were engaging in these underhand tactics. The new algorithm was designed to create a better user experience for those searching online and push companies to create genuinely useful and engaging content that people would link to naturally. 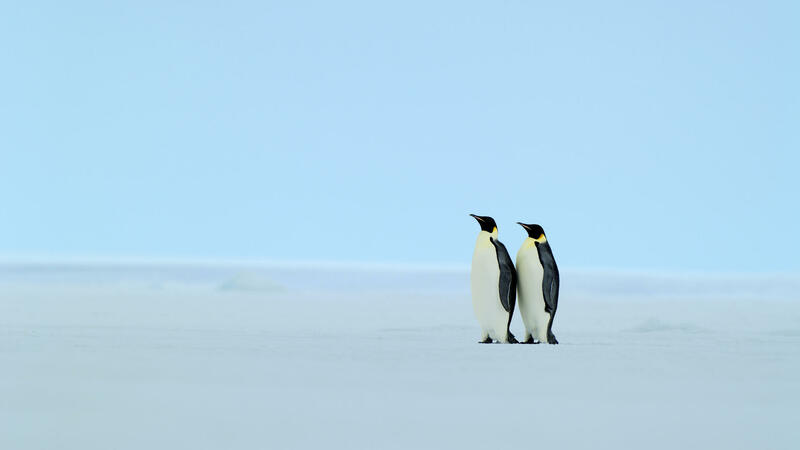 The most recent update, dubbed Penguin 3.0, has been anticipated for some time as it’s been over a year since the last one and is believed to have cracked down even further on unnatural linking. What could it mean for my business? Generally Google’s big algorithm updates like this cause mass pessimism in the world of SEO, but the news may in fact be positive for you. Especially if you were hit with a penalty during a previous Penguin rollout and have been trying to clean up your act. Penguin penalises sites automatically, but can only remove a penalty once a new update has been implemented. So if you’ve been furiously removing links in the past year you may finally be about to see the benefits of your labour in the form of improved rankings and increased search traffic. But, if you do get hit it’s possible that you may see a sharp decline in the organic traffic your site receives. This could seriously impact your business, especially if a lot of your online sales come through organic search. Even if the update doesn’t affect your site directly it’s possible that one of your competitors may have a penalty removed which could then impact your search rankings. So whatever happens, it’s highly likely that Penguin 3.0 will alter the search landscape in your sector. How do I know if I’ve buy levitra usa been hit and what should I do if I have? Check the traffic to your site on Google Analytics to see if there’s any noticeable drop in traffic – filter to just organic search traffic for a clearer picture. If you use any rank tracking software for your site or work with an SEO agency that does, this can also show if your rankings dropped significantly when the update was introduced. If you have been penalised you’ll need to clean up the backlink profile of your site, essentially removing links that could be considered spammy by Google’s algorithm. If you’ve paid for links or used some unsavory tactics in the past, either by yourself or through an SEO company, you’ll need to go back and disavow all those links through your Webmaster Tools. This essentially tells Google to ignore these links pointing to your site, disassociating your business from those dodgy sites. It may be painful, but in this case it’s better to be safe than sorry and disavow any links you feel may be considered spammy. You may unintentionally remove some good links in the process but it’s better than having to wait until the next Penguin update comes around before Google will trust your site again. What can I do to ensure I don’t get penalized in the future? Firstly, make sure you are familiar with Google’s Webmaster guidelines and ensure that your marketing efforts in SEO aren’t violating any of these. Secondly, it’s important to regularly check your site’s inbound links to ensure they remain spam free. Thirdly, it’s vital to stay up to date with the fast changing world of SEO and the latest industry news. Sites like Moz, SPMarketing and the Google Webmasters YouTube channel provide both industry updates and excellent resources for both beginners and experts looking to learn more about the industry. Lean, Green, Web Design Machine… based in Manchester. Heard of WordPress? That’s what we do.